Her sweet melodious voice over the phone was my first tryst with her. I had requested her to pick me up for our very first meet and got so busy baking a Surprise cake that I completely forgot telling her that Vishal had agreed upon leaving me. As a diligent and responsible person (that she is) she called me up to confirm. My cake took longer than expected and I had crossed the meeting time by an hour. I had butterflies in my stomach and was super excited to meet my fellow Kolkata Food bloggers. It was only with her efforts that our group was formed and this was our very first meet. It gives me immense pleasure to introduce a very dear friend, a fellow food blogger, the creator and visionary of Kolkata Food Bloggers, Kamalika Chakrabarty on our blog. Kamalika Chakrabarty blogs from Silence Sings. A passionate homemaker who runs a jewellery business, a cake/chocolate business, ardent food blogger, loving mother and a wife, she is truly a superwoman who wishes there were more hours in a day. 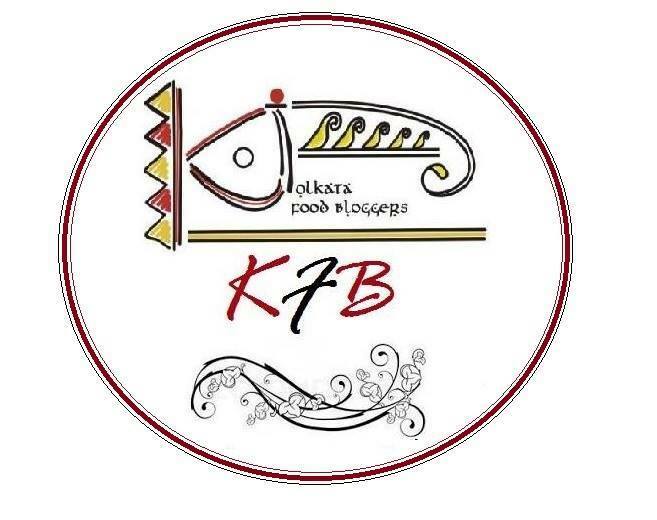 It is with her efforts that Kolkata Food Bloggers Group was formed where food bloggers in Kolkata can connect and come together to share and enrich each other through their years of food blogging experience and have fun. Kamalika's blog is truly a very pleasing one with her wonderful write ups and awesome photography skills. She strives hard to bring out amazing pictures every single time. From some lip smacking main/side dishes to delectable desserts, her blog has it all. Today I chose to recreate her Dhone Pata Rui (Rui fish with coriander leaves) I had completely loved her idea of incorporating fish with coriander leaves and decided to achieve the dish with some personal changes. I incorporated a tried and tested Chicken Hara bhara recipe from my Amma's kitchen and used the same gravy for fish. The fish looked lovely and tasted amazing with all the green coriander gravy. Thanks to Kamalika for the ingenious idea. Do check her original version of the dish and her lovely blog. Wash the fish pieces and marinate with lime juice and salt. Roughly chop green chillies and coriander leaves and make a paste with the soaked poppy seeds. I used the traditional Sil-bata. You may do this in a grinder. Take oil in a deep pan/kadai and heat till it reaches smoking point. Switch off the heat and let the oil cool. This helps remove the most pungent elements from the oil resulting in a smoother taste. Heat the oil again and fry the fish pieces, preferably one at a time, on medium heat. Let one side cook well before turning for the other side to cook. Remove excess oil, keeping 1 tbsp for the gravy. Add ginger garlic paste and cook till it gives a nice aroma. Do not let it burn. Add the green chilli-coriander-poppy seeds paste and mix well. Add the fried fish pieces, one by one and mix gently. Dissolve cornflour in little water and pour in the pan. The gravy will thicken slightly and bind well to the fish. Remove from heat as it might discolour the gravy. Serve with plain boiled rice teamed with lime slices and a green chilly, if required. The gravy will thicken if kept for long. Reheat before serving by adding little water. This gravy goes well with chicken as well as vegetables. After adding ginger garlic paste,you can add chicken pieces and add half the green chilli-coriander-poppy seeds paste and let the chicken cook. As the chicken cooks, add the remaining half of the paste with diluted cornflour. Similarly, you can add parboiled and/or sauteed potatoes or other vegetables in this gravy. I missed that stone for masala, glad you still have it. that gives such a nice flavor to masala or chutneys which none pricy machine can give. looks yum. Love the colour of the curry, highly flavoured and fingerlicking. 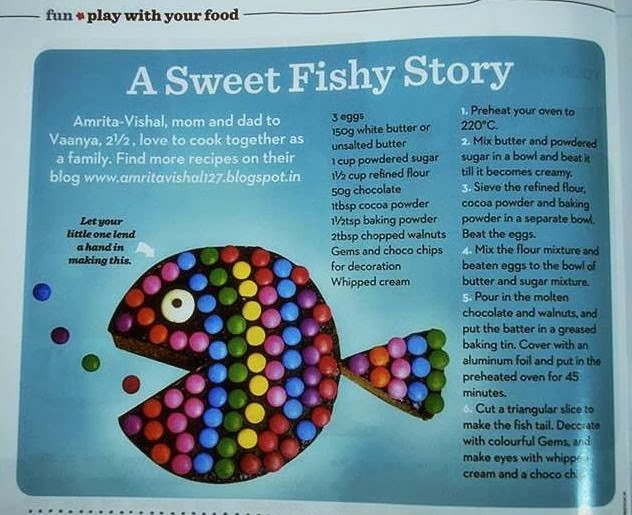 Its the right recipe because I bought fish and have been thinking what to do with it. And here comes a much loved dish, the fragrant of coriander and heat from chilies are so good,just that I need to add more chilies. Nice colour for the gravy, it must be super tempting & flavory.. Drool !